Finding the best survival knife for your specific needs means considering a number of factors to identify the perfect knife for every eventuality. From handle material to blade grind and tang construction, our guide to the best survival knives will walk you through our selection of the top survival knives for every requirement. The best survival knife is one that won’t let you down when you need it most. With this in mind, the best survival knives need to be resilient, durable and practical enough to deal with any situation that arises, expected or otherwise. When we talk about the best survival knives we’re generally not talking about pocket knives or ‘Swiss Army’ style knives – although these are also invaluable pieces of equipment in a wide range of scenarios and in a true survival situation, any knife is ultimately better than no knife. A survival knife in the context we’ll be discussing in this guide refers to either a fixed or folding blade knife which can be called upon in a wilderness or urban survival situation and that is designed with the build quality and stamina required to handle any problem thrown its way. 2 What is a Survival Knife? The best survival knives come in a wide variety of styles and finishes and while some are perfectly suited to a particular task, often, the knife you choose will be based on your own personal preferences and requirements, whether that’s a decision based on form, functionality or a combination of the two. In this guide, we’ll walk you through the best survival knives on the market today, explaining the individual features and most important specs of each to give you the ultimate overview of the top survival knives out there and to allow you to make an informed decision and find the right blade for the job. As you’d expect from the name, a survival knife is a resilient and versatile knife designed to assist you in a wide variety of survival situations in even the most adverse of conditions. Whether you need to hunt and prepare food, start a fire or carve wood and build a shelter, carrying one of the best survival knives for the job at hand is an invaluable piece of equipment if you find yourself in a wilderness environment where having access to the right tools can make the difference between life and death. The best survival knives are an essential addition to your inventory whether you’re hiking, camping, hunting, or preparing a comprehensive survival kit or bug out bag. Given the fact that the range of potential uses is so wide, the best survival knives need to be able to adapt to multiple scenarios at a moment’s notice. There are a lot of things to take into account when choosing the best survival knife and whether you’re looking to find a knife to fill a certain role or simply want the best survival knife for coping with anything, it’s important to know the key features and characteristics that make up the top blades in order to make an informed decision when picking a knife that will serve you for years to come. Survival knives can vary in so many ways that it’s important to pin down the key considerations and nuances between different types and models when choosing the best survival knife that fits the bill perfectly. The following points are the key things to think about when assessing the suitability of a survival knife for your specific needs. Generally speaking, there are two types of survival knife to consider at the most basic level; fixed blade knives and those with a folding blade. If you need a knife that won’t let you down in tough conditions, then you’re probably going to want to opt for a fixed blade with a full tang (meaning the blade runs through the length of the handle). 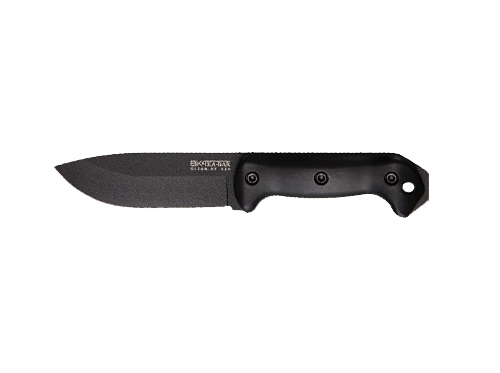 This is usually the option favored by those looking for the most durable survival knife and is often what you’ll find in most tactical knives used by military operatives. 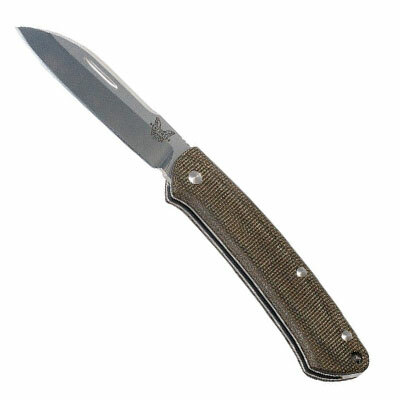 Alongside this, there is also the option of going for what’s known as a ‘partial-tang’ fixed blade. In this case, the blade itself does not run through the length of the handle, making it more prone to breaking under extreme stress. While the structural integrity of this kind of knife is slightly lower in this configuration, the benefit comes in the form of a lower price tag for these blades often making them more affordable than their full-tang counterparts. The alternative to a fixed blade survival knife is to go for one with a folding blade. Some of the best survival knives fall within this category and the obvious advantage in this case, is that your knife will be easier to store and stow when not in use, however this convenience again comes at the cost of overall structural strength. As with partial tang knives, the joint of a folding blade represents an inherent point of vulnerability if the knife is required for heavy-duty tasks which are likely to place the blade under serious stress or strain so this needs to be factored in when assessing the suitability for your requirements. If you’re new to the world of survival knives, it’s easy to think that all blades basically do the same job and that the specifics aren’t particularly important. In actual fact though, all blades are not created equal and in a true survival situation, the number of potential scenarios in which you may find yourself needing to use your knife will quickly highlight that your tool may need to do much more than you’d initially anticipated. From piercing and cutting to chopping, shaping, and sharpening, the range of uses for your knife means that the type of blade you settle on when finding the best survival knife can prove of critical importance to accomplishing the task in the most efficient way possible. With this in mind, let’s think about some of the types of blade available. The variety of survival knife blades are wide-ranging and include (among others) drop points, spear points, clip points and sheepsfoot blades. Each blade type specializes in a certain job and will serve you particularly well if it’s designed for what you need. Particularly well suited as a tactical knife or survival knife, the drop point blade is commonly used in hunting knives given its versatility and practicality as a cutting knife. With a convex, sloping spine and a lowered point, drop point blades are designed for controlled and precision cutting tasks. An inherent strength in the tip makes drop point blades a good fit as a survival knife where strength and durability are both crucial. If you’re looking for the best survival knife that excels at piercing rather than cutting however, a drop point isn’t the best tool for the job and you’ll be better off with an option such as a spear point blade. Characterized by a symmetrical shape and a tip that’s aligned with the center of the blade, spear point blades are designed for piercing rather than cutting or detail work. Given the primary use and likely stresses acting upon this type of design, spear point blades are generally very strong and are often engineered for long-life. The most important thing to remember with spear point blades is that they’re not built for cutting and slicing tasks, so if you’re looking for the best survival knife for this kind of work you’ll want to consider an alternative. This type of blade is popular with both military and law-enforcement personnel due to its versatility and durability when used in action. 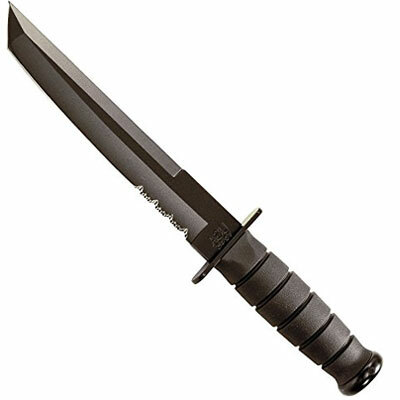 Tanto blades are particularly popular as they are able to pierce and slice with equal effectiveness. 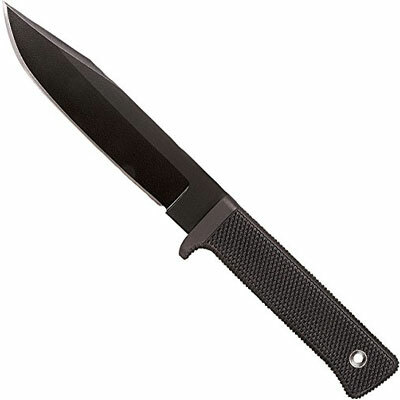 Perfectly suited to survival situations, one of the key hallmarks of this kind of blade is the sharp, angular point. The name of this style is derived from the visual appearance of the front of the blade which is designed to deliver clean cutting precision. Similar to the drop point blade, clip points are a good choice if you’re looking for a tactical knife for cutting. A thinner and sharper tip to this blade makes clip point blades much better suited to stabbing than a drop point but this also makes them less durable than other types of blade and more prone to breaking. Built for slicing and cutting, the sheepsfoot blade features a long and flat edge which makes it perfect for cutting through things like rope. Sheepsfoot blades are favored as one of the best survival knife options by emergency responders and in professions where the ability to slice through tough objects of varying thicknesses (think rope and binding materials) is an essential part of the job. This kind of blade features a false point meaning it won’t accidentally puncture or pierce whatever you’re cutting. A high quality survival knife can make all the difference when you need a reliable blade at hand with the versatility of a durable and resilient blade effortlessly switching roles and tasks as the situation around you changes. Whether you’re looking for the best survival knife for use in an emergency survival situation, or simply need a reliable knife for camping or hunting, we’ve taken a look at the top blades on the market to bring you the best for every eventuality. 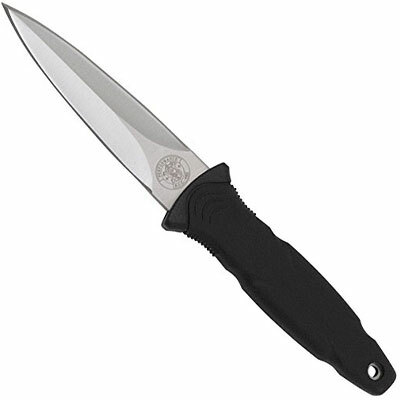 Designed to be compact and tough, the Prodigy’s stainless steel blade is designed to handle any event you face while a black oxide coating means improved corrosion resistance. The perfect survival knife for outdoor adventure, emergency preparedness, and everything in between. Ka-Bar knives have a long and illustrious history with the military and it’s little surprise that their blades are favored for tactical use by service members. 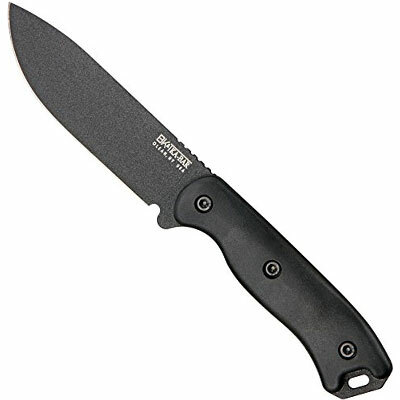 The Becker BK2 Companion is a fixed blade all black knife which is designed for use in the most demanding of conditions whether that’s a combat environment, a survival situation, or simply a weekend of hiking and camping with the family. 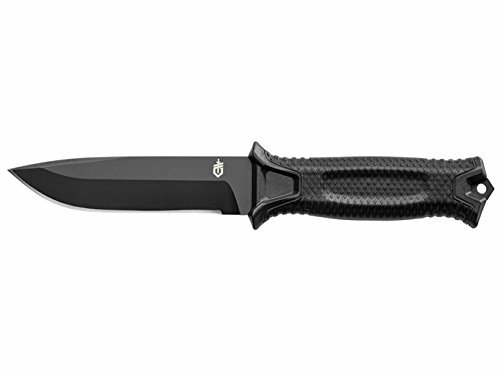 This survival knife is 100% synthetic, and measures in at a total length of 10 1/2″, of which 5.25″ represents blade. For protection of the blade when not in use, the Ka-Bar includes a heavy-duty polyester front pouch sheath for storage and safe carrying, making it an ideal element of a comprehensive bug out bag or as part of a high-end tactical everyday carry solution if that’s what you’re after. 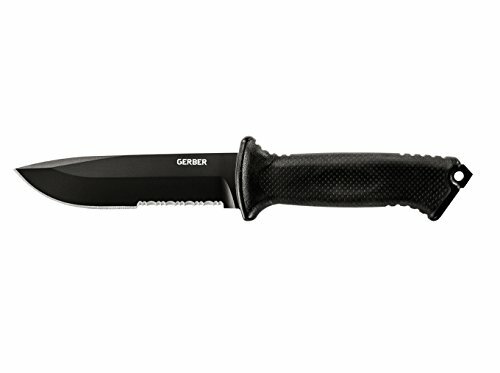 The Gerber StrongArm is a tactical outdoor knife designed for combat and survival applications. Featuring a full tang 420HC steel blade, a ceramic blade coating, and rubberized diamond-texture grip, the StrongArm survival knife is built for durability and performance. The StrongArm includes a striking pommel at the base of the handle to let you break through hard surfaces and glass making it the perfect tool to have by your side for a whole range of emergency situations. When it comes to carrying, the Gerber utilizes a modular strap-together sheath system that can be mounted on MOLLE systems or latched horizontally on a belt. As you’ll know if you’ve ever been in a situation where you had (or didn’t have!) one to hand, a Swiss army knife is one of those tools that’s pretty much invaluable when you need it most. Offering everything from a high quality pocket blade, to essential additional tools such as bottle openers, screwdrivers, saws, and tweezers, these pocket sized survival knife and multi-tool combinations can quite literally represent the lifesaving bit of kit to have close by if you find yourself in a situation that needs that perfect blade or tool. The polished ABS shell of this Swiss army knife multi-tool is available in a variety of finishes and covers a set of 7 functions made from stainless steel for durability in any situation. With tools including a 1.25″ blade, nail file with screwdriver, scissors, tweezers, key ring, and of course, toothpick, the Victorinox SD is compact and lightweight enough to attach to your keys or slip into a spare pocket. 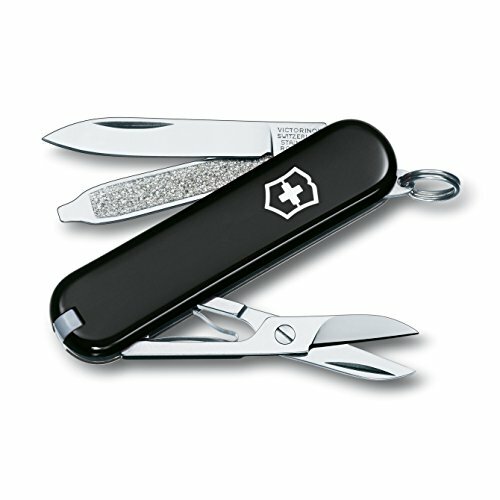 Victorinox tools are made in Switzerland and provide a lifetime guarantee against defects in material and workmanship. The perfect addition to a bug out strategy that’s small enough to clip to your keys, slip in a spare pocket, or attach to your bag. With all of our rundowns, reviews, and guides we reference as many expert sources, and real world user reviews as possible so we’re able to provide the most relevant and educational information on the ins and outs of the best survival knives. Finding the best survival knife for your specific situation is ultimately a highly personal activity with individual needs and preferences sometimes varying considerably between people, locations, and uses. 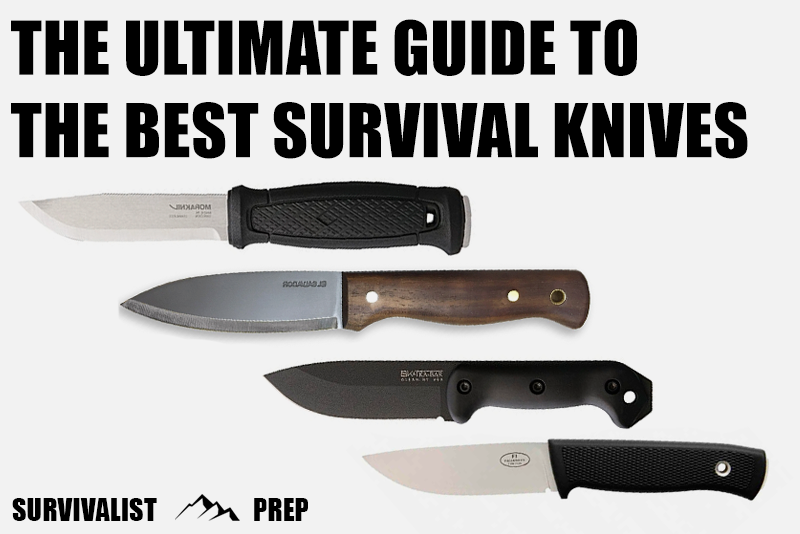 With these considerations in mind, this guide looks to provide advice on our own opinions of the best survival knives available today, however, it’s always important to carry out your own due diligence to find the best solution for you when picking a suitable tool that’s perfect for your situation.